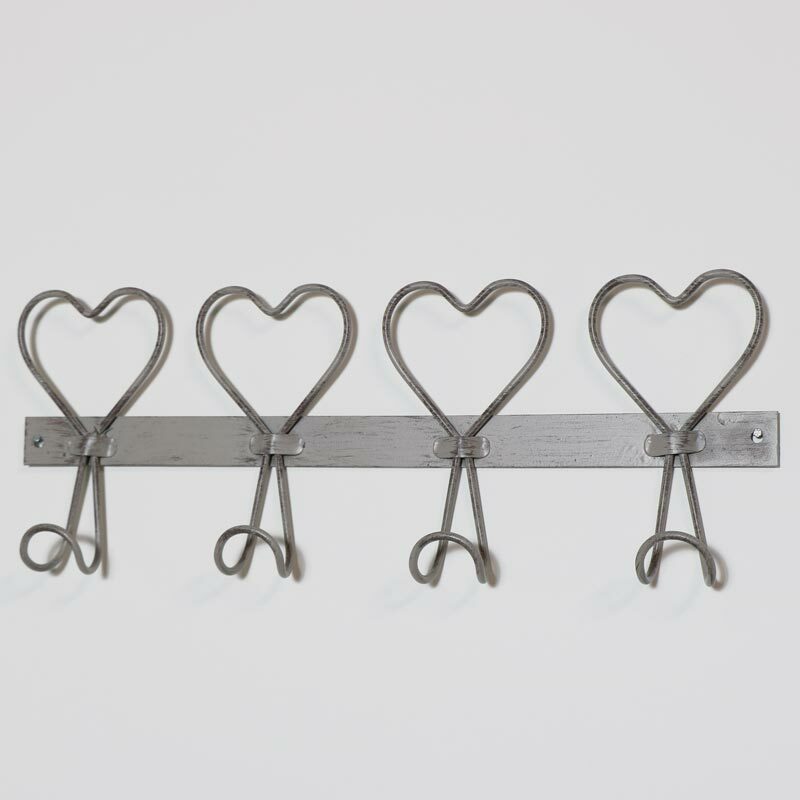 Decorative grey metal wire heart wall hooks. Ideal for hanging coats, towels and bathrobes. Vintage shabby chic look for country cottage style home decor. Four rustic grey hearts decorate the top with 4 hanging hooks offering plenty of hanging space. With a great choice of wall hooks to choose from. 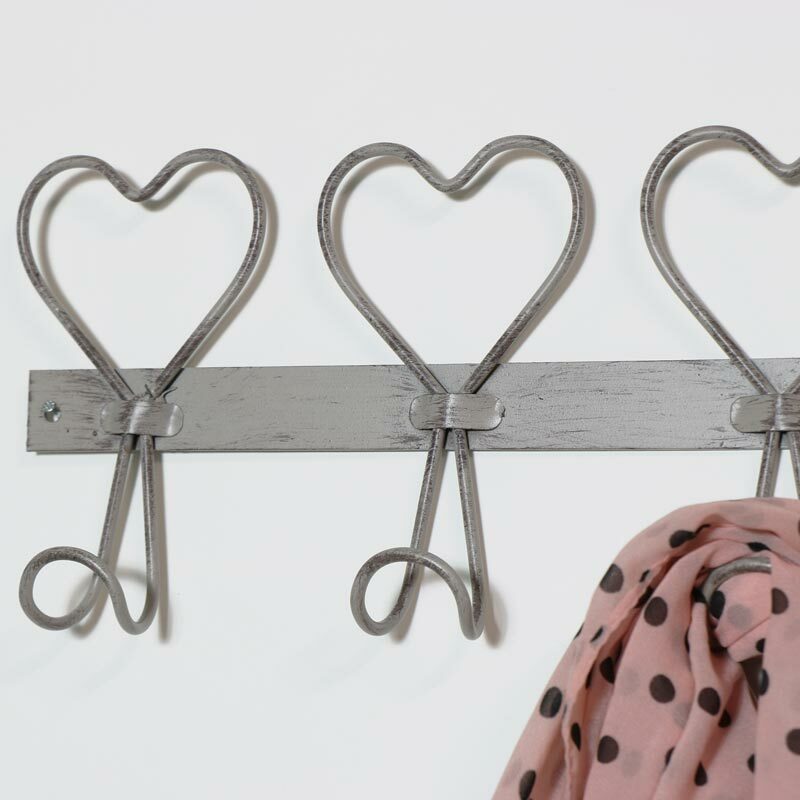 Decorative grey metal wire heart wall hooks. Ideal for hanging coats, towels and bathrobes. Vintage shabby chic look for country cottage style home decor. 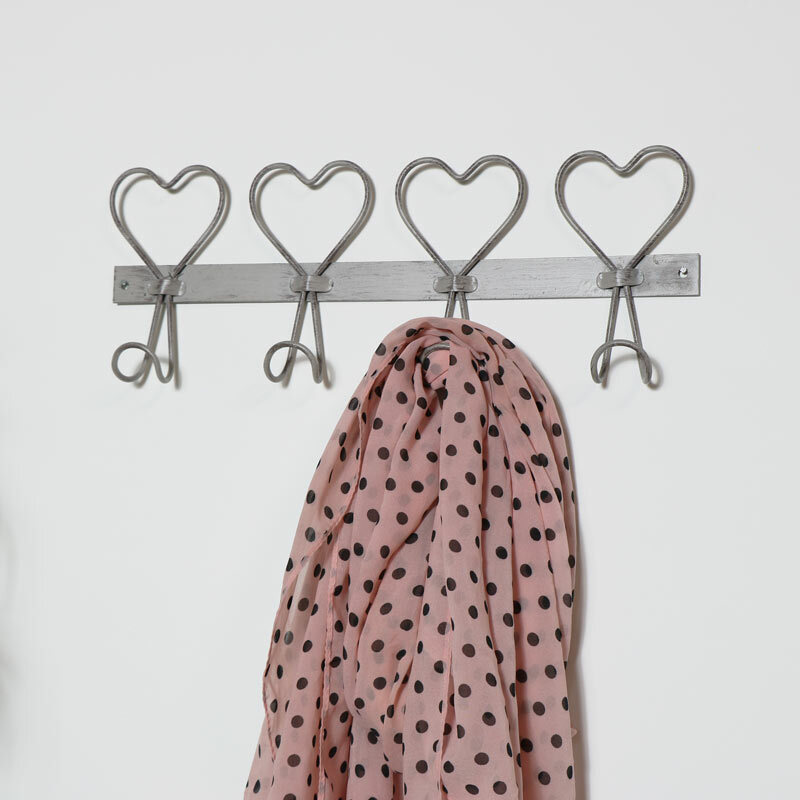 Four rustic grey hearts decorate the top with 4 hanging hooks offering plenty of hanging space. With a great choice of wall hooks to choose from. Made from metal in a distressed grey finish. Easily wall mounted with holes on the back for hanging. We have a great assortment of coat, towel hooks and holders for your home in a great choice of styles and colours.